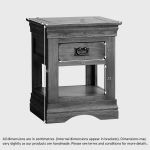 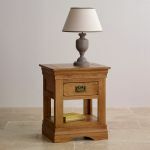 The French Farmhouse Rustic Solid Oak Lamp Table features a design inspired by the Louis Philippe period with a modern twist. 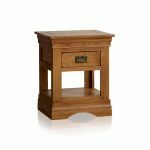 Handcrafted from A-grade solid oak by skilled woodworkers, it boasts an enviable array of features; from the flared cornices to the panelled sides and arched base. 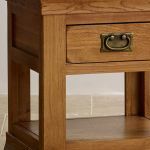 Designed for modern living, there's a spacious drawer at the top of the unit with an accessible shelving area for magazines or books. 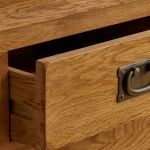 As with all drawers at Oak Furniture Land, this one is solidly crafted using traditional dovetail joints, which are renowned for their exceptional strength and durability. 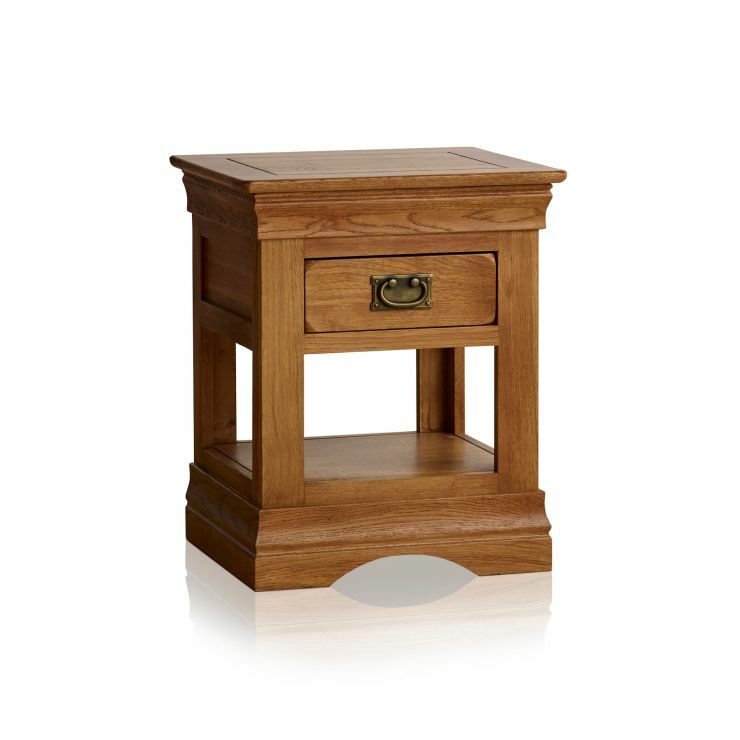 Finishing touches include inlaid grooves and a gorgeous antiqued drop bar handle. 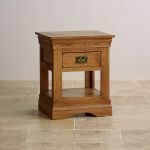 Browse the rest of this resplendent range to find perfectly matching pieces of French inspired furniture.